October is the official month of Breast Cancer Awareness. This is a cause that is very close to my heart as many women in my family have suffered with the disease. That’s why I’ve decided to write this post to recommend how you can easily help raise awareness and funds for this worthy cause just by visiting the high street. 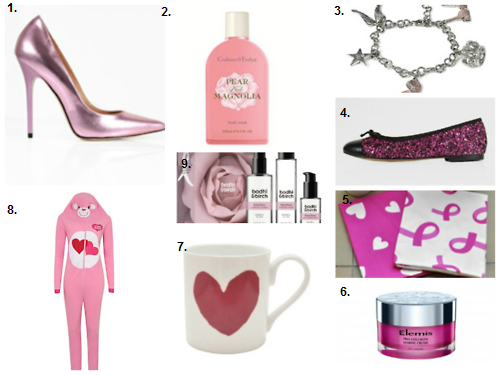 Check out the products to look for below & remember that you can also raise awareness by having a ‘Pink Friday’ event at work, school or at home or even entering the Breast Cancer Care WomenOnly Run this Saturday (Oct 18).